Thanks for visiting! This page was made on August 12, and I have no clue how to make webisites, so while it may not be the best now...it will be soon ;). Give me TIME! 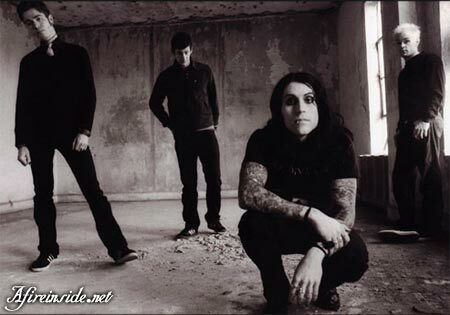 Spread the joy that is AFI. Tell a friend about this amazing band, send them a link to any of the thousands of great webisites, or play them a CD. Thats what my boyfriend did for me, and now I'm hooked! Help the guys out and make them proud to have amazing fans! Peace!